Standard 6 is the professional development standard. Some of the key elements of becoming a professional include identifying and involving oneself with the early childhood field, knowing about and upholding ethical standards and other early childhood professional guidelines. Another piece of the standard is engaging in continuous, collaborative learning to inform practice, which includes using technology effectively with young children, with peers, and as a professional resource. The reflective portion of this standard includes integrating knowledgeable, reflective, and crucial perspectives on early education. And finally the standard asks us to engage in informed advocacy for young children and the early childhood profession. 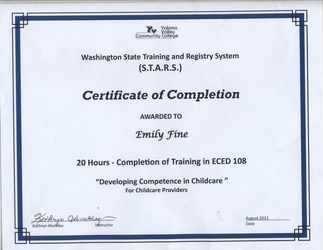 I believe that I met this standard by developing a resume, declaring myself a early childhood major, creating a timeline of professional goals, by reading professional books that help develop my understanding of early childhood teaching, and by completing a 20 hour training in developing competence in childcare. These artifacts are only a small portion of how I am growing as a professional though. I am also attending the International Reading Association’s yearly conference in April and plan on going to some of the sessions based on early childhood. 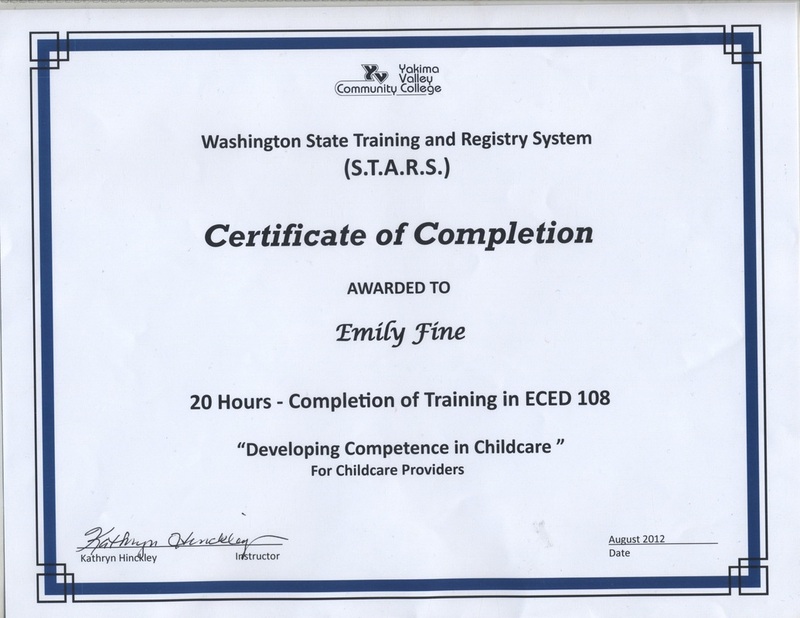 As an early childhood major I have chosen to receive a specialization in working with young children which to me is getting involved in the early childhood field. I have been able to have all of my practicum’s in 3rd grade or younger, and it has taught me more about how children develop more than any class ever has. It has been a gift to be able to work in a classroom, and I believe that that is what has helped me develop professionally the most. I am constantly engaging in continuous, collaborative learning to inform practice because I am constantly working with my cooperating teacher, my paraprofessionals, my classmates, and other teachers to develop new ideas that will help my students learning. It has also helped to develop my teaching. My peers are able to show me what I am could improve on, or will help me see a different way to do something that may be more effective. Teaching is such a collaborative job that I cannot imagine trying to do it all alone. I am just beginning as a professional, but I can feel myself growing over time. As a teacher I believe that we should never stop learning. We should always be seeking more knowledge, and trying to better ourselves not just teachers, but as people.